"For example, one participant (it's really difficult to call her a "victim," since she profited, as well) was dying from stomach cancer when she "saw a flier from what appeared to be a Catholic charity, says her husband, Dan. Mr. Bulpitt says the family of four was on food stamps after he quit his auto-dealership job to care for his wife." She and her family received some $8,000 for her participation." The take-away here is that someone other than the annuitant apparently owned and paid for the contract. As we noted at the time, the whole plan was predicated on circumventing the principle of "insurable interest." As with Stranger Owned Life Insurance (STOLI), these plans have come under fire by the National Association of Insurance Commissioners, who recently "formed a new working group to evaluate next steps on a model bulletin designed to help regulators deal with the practice of stranger-originated annuity transactions (STOA)." The NAIC is looking for ways to put the kibosh on these kinds of schemes, which cost the carriers - and, ultimately its policyowners and stakeholders - big bucks. Their first move has been to "[urge] insurers to conduct due diligence with detection methods." They could start, as we noted in February, by "[seeking] information about the buyer's relationship to this annuitant." Of course, this presumes a certain intelligence on the part of Home Office Critters. "A new survey demonstrates that very few doctors believe that government reform plans for the health care system will improve patient care .... 500 general practitioners and 500 hospital doctors ... found that only 22% believed the health service will be able to keep improving efficiency while implementing the planned changes ... only a quarter of those polled believed that the new health care practices would make it easier to tackle public health issues." Given the topic of this post, it would have been even more helpful to know the breakdown of how many "regular" doc's feel that way vs how many "hospital" doc's concur. Alas and alack, we'll have to make do. "The health care overhaul law closes the door on future physician-owned hospitals, requiring new ones to be open and certified by Medicare by Dec. 31. Otherwise, they'll be barred from taking part in Medicare, the health program for the elderly, as well as other federal health programs ... The facilities' rivals — non-profit community hospitals and for-profit institutions without physician investors — have long pressed Congress to curb physician facilities." Starting to see the pattern? "The idea of accountable care organizations ... is starting to attract a lot of national attention. One reason for the interest is that CMS plans to start a shared-savings program involving ACOs in 2012 ... ACOs must include primary-care physicians and must coordinate care across all care settings. But they need not include a hospital." That last is, at best, disingenuous. IB: What can you tell us about ACO's [Accountable Care Organizations]? Bill: First, this is a major hot-button issue with physicians; hospitals have become quite predatory, because they're in the driver's seat. The model for this is Medicare's "capitation" system, which is in place around the country. Basically, Medicare cuts one check, to the hospital, which then "divvies it up" to the various providers involved. So the hospital keeps some for the OR, the anesthesiologist gets a cut, the surgeon gets one, etc. Right now, the hospital can pay an outside physician, but the ACO model changes that. IB: What do you mean? Bill: With ACO's, the hospital can only pay physicians who are credentialed and the model encourages economic credentialing [ed: more on that in a moment]. So if I have a patient who needs, say, an earectomy, and I do that at XYZ Memorial Hospital, I can't get paid for that or, if I fight it, it's a major hassle. IB: Well, some would say that this isn't necessarily a bad idea; after all, we've been trying for a while to get global billing on the table. Bill: There's that, but this is different. The idea behind global billing is that the patient gets one bill, and everything's disclosed. This is different, because the hospital gets a check, and it's got to disburse the money to the various doctors and other providers. And then there's a major catch called "economic credentialing" [EC]. What EC does is look for which doctor does a given procedure the cheapest. Now, there's a counter-balance to that, because outcomes are also part of that equation: if he's doing it cheap but has a lot of follow-up care because of complications and the like, that counts against him. In Part 2 [now posted], we discuss some implications of this practice, and then finish connecting the dots. In our Medicare Shanda post yesterday, we explored how ObamaCare© really doesn't do much to actually rein in costs, focusing on how little transparency there is in allocating Medicare funding. But there's another facet we've previously explored, that of whether or not regulating insurance rates would actually help rein in the cost of health care. "Consumers, by and large, cannot be made better off with insurance rate suppression and other forms of insurance regulation according to a new report released today by the Pacific Research Institute." ■ Regulatory efforts to suppress rates are likely to yield consequences that would increase costs and reduce consumer welfare. ■ Rate suppression is analogous to a tax imposed upon the market, which must be borne by someone; most likely not the insurers. "(I)ncrease costs and reduce consumer welfare?" Check. "(Tax) imposed upon the market?" Also check. Pretty much spot-on, I'd say. The New Health Dialog blog presents this week's roundup of scary-smart posts, including Skittles and Zombies. Check it out - if you dare. As we noted earlier this year, the actual administration of a Health Savings Account can pose some interesting challenges. That's why we recommend a local expert to our own clients, and why I'm a proponent of the "you get what you pay for" school of thought. A recent personal experience has only underscored the importance of that advice. 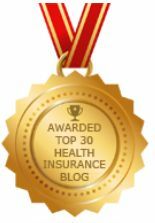 For many years, we were covered under my spouse's group insurance, an HSA plan to which her employer also contributed. A few months ago, she left that job to pursue a dream, starting her own business (which is both exciting and terrifying). 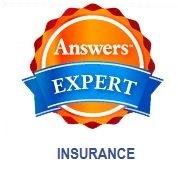 Subsequently, we switched our insurance over to my employer's plan, which is also an HSA. The "old" group insurance plan used Chase Bank as its HSA administrator, and we could have stayed with them when we made our change. But I'm a big believer in taking my own advice, so we immediately contacted our local HSA gurus at FlexBank. And boy, am I glad we did. Over the course of just a few weeks, we had a number of issues come up (not the least of which was that we couldn't just start a new account in my name and transfer the money from an account in hers). Needless to say, we've had numerous phone conversations and exchanged a few emails. Throughout, the folks at FlexBank have been professional, courteous and - above all - knowledgeable about the various intricacies of our situation. Just another reason why we're believers. "Three times a year, 29 doctors gather around a table in a hotel meeting room. Their job is an unusual one: divvying up billions of Medicare dollars ... convened by the American Medical Association, has no official government standing." "The Centers for Medicare and Medicaid Services, which oversee Medicare, typically follow at least 90% of its recommendations in figuring out how much to pay doctors for their work." And the dollar amounts are astounding: over $60 billion a year from Medicare alone. Elected by no one, accountable only to themselves, these physicians (who, by the way, aren't even necessarily the best in their own fields) control vast sums of our dollars, both directly and indirectly. This is an area that one would think so-called "health care reform" would address, but it's nowhere to be found in the 2000+ pages of ObamaCare©. Gee, wonder why that is. One of the stated reasons for John Hancock's recent rate hike on some of its Long Term Care (LTCi) business was its large book of government-employee business. No surprise, but apparently gummint workers generated far more claims than anticipated. "Another point in the report that deserves further attention is the Ponzi scheme known as the CLASS Act ... CBO determined that the “CLASS program could be subject to considerable financial risk in the future if it were unable to attract a sufficiently healthy group of enrollees." "Because the law requires the CLASS program to enroll all eligible individuals who apply, CBO said it is “likely that some enrollees would be people who were unable to obtain coverage in the private market because of their poor health status." Guaranteed issue? Attracting unhealthy folks? Causing substantial premium shortfalls? The SS Obamacare is barely out of the harbor and is already taking on water. Last month HHS was forced to grant Obamacare waivers to 30 companies including McDonald's restaurants. The waivers will allow those companies to bypass some of the mandates in Obamacrap and continue to offer limited benefit health insurance plans to thousands of their employees. Now it appears HHS it poised to cave on other portions of Obamacrap to avoid a chain reaction of large employers who are considering the cancellation group health insurance plans for their employees unless they are granted waivers as well. According to KHN, many employers are weighing the cost of implementing Obamacrap vs. dropping coverage. an executive for the consulting firm Deloitte said, "What we are hearing in our meetings is, 'We don't want to be the first one to drop benefits, but we would be the fast second.' We are hearing that a lot." Of course the White House is claiming that there is no merit to the proposed action. 'It could work out well and build on the employer-based system, or it could begin to dismantle the employer-based system.'" Even the idiots in Washington know they cannot take on providing health insurance for everyone, and a cornerstone of Obamacrap relies on roughly 160 million keeping the plan they have now. As Obamacrap continues to roll out, the Medicaid rolls are expected to swell by 15 - 20 million and those individuals will be supported by new taxes at the state and federal level. Large employers who do not provide health insurance for their employees, or who drop coverage will be subject to a nominal fine. The $2,000 fine per employee is peanuts compared to what employers are paying now in premium subsidies for their employees. The slap on the wrist fines make it a no brainer when it comes to employers choosing to continue health insurance or drop it and pay the fine. Of course Washington specializes in no brainers . . . When are the rest of us going to be exempted? Don't we deserve a break today too? And while we are on topic, how well are those pools for people with pre-existing medical conditions working? In Missouri, where an official said people were complaining because they thought the plans were free, the experience has been typical of many states. "The monthly premium in Missouri is as high as $972 a month; the program has only had about 140 enrollees since opening this summer. I guess too many people thought Obamacrap was going to be free. Heck, even the president acknowledged a few weeks ago they knew they could not cover 40 million people for free. Too bad the people who voted these clowns in to office didn't realize that. The SS Obamacare is headed for an iceberg and the casualties will make the Titanic look like a minor accident. The Spice Island blog hosts this week's roundup of touching and intructional medblog posts. "For a person starting a business in 2014, it will be logical and responsible simply to plan from the outset never to offer health benefits ... the eventual penalty for not providing coverage, of $2,000 per employee, is still far less than the cost of insurance it replaces." We've made this same argument, of course, but it's startling to hear it from a Democrat governor. That $2000 fine comes to about $166 per employee (per month). Under almost any scenario, that number is less than (often substantially less than) the actual insurance premium for that employee. Add in the cost of administration, and it becomes even more lop-sided in favor of the fine. Add in the intangibles (employee meetings, annual renewal reviews) and the cost savings are obvious and compelling. That "thud!" you hear is the sound of your current employer-based coverage going under the bus. "About 73% of the primary caregivers – and 40% of the secondary caregivers – said they had reduced contributions to savings accounts as a result of caregiving responsibilities, and 80% of the primary caregivers and 55% of the secondary caregivers said they had reduced retirement contributions." Genworth Financial, one of the LTCi "Big Boys" commissioned the study, based on over 800 adults, both caregivers and those receiving care. The problem is that those giving the care cost themselves major chunks of their own nest-eggs; giving up their ability to contribute to 401(k)'s and the like means that there's less available to them when they need it. "My spouse is a retiree of [a well-known financial institution]. We are both in our late 50's and on [the former employer's] group health insurance. Our daughter turned 24 last Spring, and "aged off" our insurance due to that event. We were told by the [former employer] in August that she could be added back during open enrollment for coverage effective 1/1/2011 under the new provision of Obamacare, since she is under age 26. Open enrollment began today and now they've changed their tune. They are now saying that because my wife is a retiree, and not an active participant, that the changes in the law pertaining to dependent coverage do not apply. I have read both the text of the law itself from the Federal Register and the federal regulations promulgated by the IRS, the Dept. Of Labor, and the Dept. Of Health and Human Services. I see nothing that makes this distinction. In fact, the regulations specifically state that even if my daughter were married, or not living with us, she would still be covered. The only exception seems to be, for grandfathered plans, if she were eligible for coverage under a different employer’s group plan, they could exclude her. This does not apply to her. The [former employer] has promised to research further and get back to me in 5 business days. I asked them specifically to site me the law or regulation that allows them to distinguish a retiree’s dependent coverage from an active employee’s dependent coverage. Do you know anything that backs up their position, or are they completely wrong, as I suspect? Thank you very much for your help in this matter." "You'll find that the employer didn't actually "change its tune," but gave you inaccurate info in the first place. Retiree plans are exempt from that part of ObamaCrap. If she's healthy, you might be better off putting her on her own plan, anyway. Often, these are less expensive than dependent coverage on a group plan, and will offer a choice of benefits designs. Have a GREAT rest of the day!!" "She does have her own plan, but it’s not very good. Guess we’ll have to shop around for something better for her. Do you know where in the law this exception for retiree plans is? (Sorry, I’m a lawyer, so I like the details). Thanks for the quick reply." "Among other things, the regulations, set to be published in the Federal Register on Thursday, June 17 ... also confirm that retiree-only plans are exempt from certain PPACA requirements." [Link to relevant Federal Register]"
And so our work was done. Or so I thought. "Actually, Hank, behind the curtains there's a little more involved than just being a retiree or the dependent of a retiree. The distinction comes about because, apparently, the former employee and her family are enrolled in a "retiree-only" plan. Since they are both under 65, and presumably not Medicare-eligible, it's possible they could have the same plan (i.e., same benefit design) as the former employer's active employees. The employer's corrected answer tells me that this couple is enrolled in a distinct, retiree-only plan. (HHS says a retiree-only plan can enroll no more than 1 current employee). Thanks in large part to lobbying by AARP, retiree-only plans are, as you point out, exempt from PPACA. Of course, the plan sponsor of a retiree-only plan can voluntarily choose to comply with the reform requirements. But if they claim exemption they obviously can ignore the requirements - and the extra cost that the requirements entail. To claim the exemption, the plan sponsor must certify that the plan covers no more than 1 current employee, that a separate Form 5500 for the plan is filed with DOL, and that there is a separate SPD [ed: Summary Plan Description]. Clearly and in hindsight, the former employer gave them bad information the first time. While learning the truth of the matter may have angered them, I don't see that they "lost" anything they were entitled to. Maybe, if their daughter immediately canceled some other individual policy in anticipation of group coverage, they could claim to have been damaged by relying on the employer's erroneous advice. But that seems unlikely. So I doubt the employer's bad answer has harmed them - at least not in any way that I can see. It just made them angry. I bet there's a lot of plans out there bumping into things in the dark, trying to figure this out. It's almost as though the government deliberately made all this as complex as possible . . . naw, that can't be right . . . .can it?" In the insurance world, MFN (no, that's not an acronym for something dirty) means "Most Favored Nation," a term usually reserved for international trade agreements. In this case, it's an agreement between an insurer and a provider (or many providers) which grants the insurer exclusive and substantial discounts on medical services. These are generally perfectly legal, but - as Blue Cross of Michigan has found out, to its chagrin - it's easy enough to cross the line. In this case, Michigan Blue Cross (BX) is considered the "dominant carrier" in that state's health insurance market (no big surprise). This is a double-edged sword: it means a larger market share, but it also means that they're considered the "carrier of last resort," meaning they absorb a lot of high-claim insureds, as well. Being the dominant carrier has at least one advantage: they can demand - and get - much greater discounts from medical service providers (e.g. hospitals). That makes sense, too: greater numbers of insureds mean greater numbers of patients that can be funneled to network providers. It's a win-win situation. These discounts can be huge, by the way: up to 15% (or more!) off covered services. This helps the carrier two ways: one, it lowers their claims costs, which helps ameliorate rates (to a point). It also means that their insureds have less out-of-pocket, which is good PR, and helps with retention. In a nutshell, it appears that BX decided to up the ante, and not only get their own discounts, but force providers to reduce the discounts they offered to other insurers. That's a double whammy, because it means an even greater reimbursement differential, and thus higher claims costs, for the other, non-dominant carriers. It's one thing that your competitors are at a disadvantage - that's the free market, after all - but proactively interfering with your competitors' ability to conduct business is quite another. And that seems to be the case here, and why both the Feds and the State are going after the Blues: the Department of Justice for Sherman Antitrust Act violations, and the Wolverines for violations of that state's statutes. It's worth noting, by the way, that the Federales have a pretty good batting average on these cases: over the past 16 years, they're 5-0 on health plan MFN cases. Finally, there's this: this doesn't bode well as we look toward 2014 and the Exchanges. That is, if carriers are forced from the market (as has been the case in Michigan, among other states), it leaves fewer "players" to offer plans. Fewer choices means less competition, which was, after all, one of the major goals of ObamaCare©. Of course, both sides will have their day(s) in court, and I'm sure that this won't be the last we hear of this sordid affair. "The Justice Department alleged Monday in a lawsuit that [the carrier] is discouraging competition by engaging in practices that raise hospital prices ... The suit targets "most favored nation" clauses between Michigan Blue Cross Blue Shield and health care providers." We're fortunate to have some really informed sources to help verify and explain exactly what this means, and will be updating this post shortly with more information. Several months ago, Hank and I had a discussion about Accountable Care Organizations. What is this concept in Obamacare? As a medical practice manager, I actively read all aspects of Obamacare and how it would affect my profession. In April I attended a Medical Management Seminar, where this policy was discussed. I asked the lawyer leading the discussion what this guideline meant for privately owned businesses. He stated that no one knew what would happen. "In 2005, more than two-thirds of medical practices were doctor-owned, a share that was largely constant for many years. By next year, the share of practices owned by physicians will probably drop below 40 percent, according to data from the Medical Group Management Association. Hospitals or health plans will own the balance of doctor practices." I work for one of those doctor-owned medical practices, and Medicare Patients currently account for approximately 20% of the practice. If our practice is not purchased by a hospital before Jan. 2012, my physicians can no longer get paid by Medicare for treating Medicare patients. As with most micro and small businesses, we operate on a tight profit margin. A loss of 20% of our revenue is enough to cause our business to fold. So we have two options: go out of business in Dec. 2011 or negotiate with a hospital to purchase our business. This creates a buyers market, so hospitals can name the price and the physician has to accept or go out of business. Physicians will be forced to accept the pay from a Hospital, or go out of business. The government, through legislation, will cause the demise of privately owned physician practices. Physicians are already opting out of Medicare. Opting out of being in network with Medicare. Opting out of treating Medicare patients. Currently "Medicine" is the only business where revenue is regulated by the Federal Government. In 2012, your medical care will be regulated by the Federal Government through Hospitals. This is short post because the article says it all. LexisNexis Top Workers Comp Blogger Julie Ferguson hosts this week's roundup of risky posts. As usual, Julie does an outstanding job of keeping things simple and interesting. And be sure to check out the commercials! Agent to Blue Cross: "You're fired!" "After due and careful consideration I have decided to eliminate offering for sale any Anthem Blue Cross HIPAA or underwritten individual & family coverage plans after today. This was not an easy decision to make ... Anthem Blue Cross of California has demonstrated erratic, inconsistent, irregular and unfathomable enrollment procedures for those trying to get coverage under HIPAA ... No one who needs medical care and medications, who may be ill, should be waiting many weeks and enduring the level of stress that Anthem Blue Cross creates during these enrollments." "Did you know that the 236,000 displaced Private Fee for Service members nationwide are eligible for an SEP (Special Election Period) and can enroll now?" This is an announcement (from Anthem) about the upcoming Special Election Period (no, not that election - although it's relevant); HHS Secretary Shecantbeserious has ordained this unique opportunity for folks being booted from their preferred plans. This "special" opportunity actually began a few weeks ago (on October 1st), and extends through the end of the year. Which is convenient for those unfortunate seniors who actually believed DC. Boeing said deductibles and copayments are going up significantly for some 90,000 nonunion workers. The company cited three major reasons for the cost shift, including untamed health care inflation, the effects of the new law, and lifestyle issues including being overweight and lack of exercise. Spokeswoman Karen Forte said Boeing is concerned that its relatively generous plan will get hit with a new tax under the law in 2018, but that the company would have made the changes anyway. So much for "if you like the plan you have you can keep it." "[Connecticut]'s largest insurer has been approved to raise health premium rates by 41 percent to 47 percent for some of its policies sold to individual buyers..."
The good news is that the bulk of Anthem's business in the state will experience only a "modest" 19% increase. Oh wait, did I say "the carrier?" I meant "the Connecticut Department of Insurance." I wonder if Ms Shecantbeserious will now threaten them. A very nice young lady called the other day, looking for individual health insurance. She's a student at a local university, on her own at the tender age of 18. Her mother has moved out of state, and for a number of reasons, Karen [ed: not her real name] can't be on mom's plan. She is eligible for the university's health plan, but is (understandably) not enthused. She'd really like to have a real plan. No, she's not ill, nor is she pregnant. But she is 18, and therefore ineligible for an individual medical plan. She's one of the (unintended?) victims of ObamaCare©, which has essentially destroyed the individual market for young adults. Too bad we had to pass it to see how Karen would be hurt by it. As we move further out from September 23rd, the state of the individual health insurance market continues to crystallize. Here's what we know as of this morning (October 18, 2010). Interestingly, some ostensibly grandfathered plans will also be subject to these provisions, as well; it's not at all clear what benefit their grandfathered status still confers on them. ■ Adult Dependents (from age 19 to age 28) who are not currently enrolled on a member's policy or who were previously canceled from a member's policy due to age, student or marital status are eligible for enrollment. The member's policy to which the adult dependent will be added must have an effective date prior to September 23, 2010 [ed: in other words, must be grandfathered]. ■ A covered family member who previously reached his or her lifetime maximum can enroll for benefits on a member's existing policy during this special period. We're still awaiting word on how much lower premiums will be due to these enhancements. It appears that the requirement to report -- set to begin next year (2011) -- is voluntary only for that year. It's anticipated that the IRS will provide more guidance in the future, including clarity for 2012 W-2s. It's also anticipated that it will rain unicorns. ■ If an employee leaves in, say, March 2011, the employer doesn't have to provide the info, but may still choose to do so. ■ When employers (or their payroll services) send out that mass of W-2s in January 2012 (for tax year 2011), this info will still be optional. ■ On the other hand, if an employee leaves in, say, April 2012, the employer does have to provide the info within a few weeks (unless, of course, the IRS pulls an Emily Litella). ■ When employers send out that mass of W-2s in January 2013 (for tax year 2012), this info is no longer optional, (unless - you guessed it - the IRS pulls another Emily L). Hey, we're here to help clear things up. I suspect that most readers will wince when I mention "The Brady Bunch;" the theme song is an almost tribal memory for most of us. In "real life," of course, blended families don't always (or frequently) actually "blend." Because of his indomitable spirit and bottomless heart, my step-dad, Bob Keller, managed that incredible feat. My father passed away when I was 22; a few years later, Mom found her other true love when she met Bob. I remarked often that it must have been terribly convenient for her: both of her beloved husbands were Roberts. From the moment we met, Bob and I connected and when they wed a few months later, his family and ours had already begun to bond. I still fondly recall our family Chanukah parties, with the kids and the adults all happily chattering and feasting on latkes. Bob had a way of bringing all those who were close to him close to each other. When our eldest was born, there was no "well, he's a step-grandfather;" he held her proudly and lovingly, as if to announce to the world "hey, look at this!" My daughters knew only love from him, and for him, as did my better half. For many years, we would meet for lunch every week, often sharing wings at, well, the wing's place. Even more often, we shared our mutual love of rare hamburgers at a local pub (and by rare, I mean "walk it through the kitchen - quickly!" - rare). This was usually preceded by our monthly trip to Max's, where Ralph, our balding barber, would neatly trim us up. It was with Bob that I shared the last few hours of my mother's life, and it was Bob who had the strength to let the hospice nurses know that "Mrs Keller has passed." I realized today that Bob had actually been in my life longer than my own father. He was a great dad, a terrific grandfather, and an adoring husband. His first wife, Lynn, had passed several years before he and my mother met, but it was obvious to all who knew him that the size and depth of his heart was enough to deeply love both of his wives. Thank you, Bob Keller, for your kind, strong hands (oh, did I mention that he was an accomplished wood and stained glass artist? ), your bottomless and generous heart, and for the love you shared with my mother, my family, and me. "U.S. District Judge Roger Vinson ... said the case would continue as scheduled. He had previously set a hearing for Dec. 16." Not much more than that right now; interested readers may peruse the decision here. Our favorite health care economist, Jason Shafrin, hosts this week's wonky round-up. Jason asks (and answers) the question "What do the Chilean miners have to do with health policy blogs?" "The IRS on Tuesday announced it has delayed the filing requirement for companies to report the cost of supplying healthcare coverage to their employees." Regular readers may recall our recent post on this subject, which pointed out that the folks at NFIB "believe the provision really starts earlier. If someone leaves his job in 2011, the employer must provide the W-2 – with the added info – within a few weeks of the employee’s departure." So does this new announcement change that calculus? One problem, of course, is that it doesn't seem to address the issue of when the actual reporting must begin. I've asked our friends at NFIB for their thoughts, and will let our readers know what we find out from them. "On at least six occasions, state Chief Financial Officer Alex Sink approved felons’ applications to sell insurance in Florida." "(A)pplicants ... had been convicted of, or pleaded guilty to ... Assault on a police officer ... Resisting arrest with violence ... Grand larceny" and several other serious offenses. Florida, as in most states, prohibits convicted felons from obtaining licenses to sell insurance. Unfortunately, these six (that we know of) fellows were approved to sell life and health insurance policies (now there's a scary thought!) to unsuspecting prospects. It certainly gives new meaning to high pressure sales. "by law, carriers can't single out individual insureds for rate increases"
Turns out, there is no such law; the relevant section of the Ohio Revised Code (ORC) is silent as to this issue. This discrepancy was pointed out to me by the reporter who wrote the story on which that post was based, Ms Carrie Ghose; she emailed me yesterday to challenge my claim regarding renewals. After poring over the ORC (and checking with other sources), I found, to my dismay, that there is no such provision. I've updated the original post with this information, but in fairness to Ms Ghose, I wanted to make sure that our readers know the facts regarding renewal rates in the Ohio individual medical market. "Growing numbers of Americans with health insurance are walking away from their prescriptions at the pharmacy counter, the latest indication that efforts to contain costs may be curbing health-care consumption." The Journal's thesis is that, because folks have higher co-pays and/or deductibles, they can't afford to pay as much for their meds. I think it's something else: when 3rd parties are paying the bulk of your expenses, you have no real incentive to cut back. DTC (Direct to Consumer) advertising also plays a role, increasing demand, regardless of whether or not it's justified. Bob wrote about this some time ago, pointing out that "(s)ome studies suggest that newer, more expensive meds are no more effective than older, less expensive drugs." So there's an increase in demand, fueled by the fact that someone else is footing the bulk of the bill, but what happens when that equation tilts the other way? People make the conscious choice to take a flyer, perhaps understanding that they don't really need that med, after all (not unlike those who choose to go without health insurance). Seems pretty rational to me. Supporting this thesis is the fact that "(p)atients are deserting prescriptions for the most expensive drugs most often." That makes sense, although one wonders why they even bothered having them filled in the first place. It's not as if the cost, and one's portion of it, is a surprise: the cash register pretty much tells the story. Simple enough to pull an Emily Litella. "After switching employers in April, Ms. Brockway said, she chose a high-deductible plan for herself and her 12-year-old son because it took less out of her paycheck ... when she went to pick up asthma medicine for her son and an antidepressant for herself, the pharmacist told her it would cost more than $335." How much did she save in premiums, and where did that go? How much is her cable bill (if any)? Just once, I'd really like to see so-called "journalists" ask (and report) about what other choices their subjects are making. We have no idea whether Ms Brockway's son has his own cell-phone, for example, and how much that costs. What other discretionary expenses do people make that tells us about their priorities? Why aren't these part of the story, as well? And there's this: "She returned later and bought a less-expensive prescription for her son." So she did in fact, make the choice to put her son's health first. Why didn't she ask about less expensive medication in the first place? Why didn't the pharmacist (or her doctor) suggest the lower priced alternative? I submit that it's because, until recently, cost wasn't a factor: someone else was paying for it. The fact is, her high-deductible plan (apparently) worked exactly as advertised, she just didn’t understand how to use it. Once she had "skin in the game," it was to her advantage to begin asking questions, and looking for ways to lower the cost of her (and her son's) health care. How Will the Insurance Company Find Out? "If I don't tell the health insurance company about (name any illness), how will they find out?". I always cringe when this question comes up. Got a call like this today from a former client. I say former because he bought health insurance from me a few years ago, including maternity with no waiting period, so his wife could get pregnant. She did, she delivered, he dropped the coverage. Then last week he called again. Just like before, did not want health insurance on himself, nor on his son (who is on Peachcare . . . Georgia's SCHIP plan for low income families), just on his wife. My spidey senses were tingling. "Is she in good health?" I asked. "Oh yes, I just want to get health insurance on her just in case." I wanted to ask "in case what" but I didn't. Today he called back and wanted to know which health insurance plan I would suggest. I said the plan from Humana was a good one and the one I would probably buy if I were in the market. "How soon can we make it effective?" he asked. "Usually a couple of days. Why do you ask?" "She is waiting on some tests. The doctor thinks she may have Lupus". There you go. The cat is out of the bag. "Well, she won't be able to get health insurance until the tests come back and if confirmed that she has Lupus, she will not be able to buy health insurance then either". I hate that question almost as much as the one that followed. "The carrier will ask on the application if she is waiting on test results and when they find out they will postpone the health insurance application until the tests come back". "So how will they know if she doesn't tell them?" "They have ways of finding these things out. If they don't find out before underwriting, they almost certainly will if the tests come back positive for Lupus." "I tell you what. Let's just forget about any of the plans I sent you and you should have her apply for PCIP, the Obamacare plan that is designed for this kind of situation." "How much does it cost? Is it more expensive than the Humana health insurance plan?" "Probably, but it doesn't matter since, based on what you have told me, she won't qualify for Humana or any other health insurance plan besides PCIP." "OK, send me the information, I think I will wait until the tests come back before applying." "Sounds like a plan . . ."
I hate calls like this. Steven Lash, President of Satori World Medical, thinks that there's a silver lining in ObamaCare©: it's his belief that it will continue to fuel, and in fact increase the demand for, medical tourism. He bases this belief, in part, on the fact that this train-wreck has already begun to show the stress fractures in our system as a result of increased demand without adequate supply. The changes in legislation [ed: ObamaCare©] will offer both positive and negative impacts to U.S. businesses. One of the benefits of the legislation is that we now know how the future of health care is going to be shaped. There are a specific set of deliverables and timetables that have been set. With the completion of PPACA, businesses are focused again at looking for measures to save on rising health care costs. Because of this, businesses are starting to see a place in their employee benefit plans for medical travel. With the addition of 40 million Americans having access to health insurance, there will be increased demand for health care services. Couple that with an existing shortage of nurses and doctors, queuing for medical care will be a natural by-product. As the time to see a specialist increases, more individuals will seek to get immediate help through medical travel. Employers and employees will come to understand the high-quality health care that is available to them internationally as they look to end pain and ill health. The PPACA utilizes similar features as the state-wide Massachusetts plan, which was implemented several years ago. In the Massachusetts plan, queuing for primary and specialty care has more than tripled the wait time for appointments and treatment. As the low cost option, medical travel will be an attractive network option for employer-based medical plans. Currently, and since the advent of HIPAA, I can go from a group plan to another group plan, or an individual plan to a group plan, on a guaranteed issue basis, and any pre-existing conditions will be covered immediately. In order to accomplish this, I need but a simple piece of paper, called a Certificate of Creditable Coverage, which "proves" that I've been covered for (at least) the previous 12 months. Absent this Cert, my new employer's carrier can delay covering any pre-existing conditions for a while. Yes, yes, Henry. What's your point? Well, as long as I have that little piece of paper, I can prove prior coverage, which is the point of the exercise, and demonstrates that one can, in fact, prove a positive. But can one prove a negative? How does the Pool's© lifeguard prove that I did? Follow up question: by what mechanism is the new carrier allowed to investigate the veracity of my claim? What happens when Mom and Junior apply and are issued a policy, and a month later Mom drops coverage on herself? Follow-up question: by what mechanism would the carrier be allowed to then cancel coverage on Junior? ■ At Frontpage, Tait Trussell makes the case that ObamaCare© constitutes "Medicare Malpractice" by essentially shafting "millions of low-income folks, minorities, and Hispanics." As we've noted, a lot of seniors covered by Medicare Advantage plans have been thrown under the bus. ■ David Hogberg offers his fisking of the New Republic's Jonathon Cohn's take on efforts at repealing ObamaCare©. He notes that this train-wreck "will force a lot of people to pay higher premiums ... lavish subsidies on the private insurance industry ... [and] put life-and-death decisions in the hands of bureaucrats." Sounds like a hat-trick to me. ■ Finally, the AP reports that the ObamaPools© are off to an underwhelming start (something we've long since noted), including one that we missed: "California, which has money for about 20,000 people, has received fewer than 450 applications." Yesterday, I had to turn away two prospective insureds. That's happened before ObamaCare© was a gleam in Ol' Nancy's eyes, but it was particularly troublesome because there are fewer choices now on which these folks can "land." Steve is a 45 year old gentleman who was laid off from his job last month. He's eligible for COBRA, but his means are (obviously) more limited, and the cost is prohibitive. With ARRA subsidies gone, he's stuck. Compounding his troubles is the fact that he's way to short for his weight, and has a number of other health issues. In fact, but for one "glitch," he'd be a prime candidate for the ObamaPool©. Unfortunately, he's been insured within the past half-year, so he's outta luck, and outta the 'Pool©. Then there's Tonya, a young lady in her late 20's, a single mom with a healthy five year old. Her employer offers a very nice group insurance plan, which just experienced a 35%+ rate increase, much (most?) of which comes courtesy of ObamaCare©. She'd like to jump off, but she has a number of problems. No, her height and weight are within normal guidelines, but she's a Type I diabetic, and therefore uninsurable in the "regular" market. The 'Pool© might be a great option for her, but - you guessed it - no can do. Adding insult to injury, she can't do what we used to do: peel Junior off the group plan and put him on his own, much less expensive, policy. It's really a nasty trick, because even though we could write Junior on a plan with Mom, if Mom doesn't qualify (and she doesn't), Junior's not eligible. Then again, it's doubtful now that they'd save any money if they could get him his own plan. Let me get this straight: Postal Workers' union elections are on hold because ballots have been lost in the mail? "But the union announced that only about 39,000 ballots were turned in -- and that "a large number of union members had not received their ballots." "The American Postal Workers Union has extended its internal election after thousands of ballots appeared to have gotten lost . . . in the mail." As Warner Huston notes, these are the folks that want to run our health care system? Shecantbeserious Waivering: You want fries with that? First, under what criteria were these waivers granted? What, if any, quid pro quo was extracted from the corporate coffers of those which benefitted? Second, what happens next year, when these waivers expire? Will they automatically renew? If not, what process will be implemented to review whether or not such exemptions will continue? Third, what companies applied for an exemption and were declined, and on what basis? Fourth, why is it that not only employers and insurers were granted exemptions, but also unions? One more little time-bomb that was in the bill we had to pass to see. Obamacare - Is The Public Option Dead? Is the so-called public option in Obamacare dead? Some don't think so. Left wing blogger Huffington is sporting a post today suggesting there is still hope for those who want a public health insurance option. According to Dr. Abrams who it appears has never practiced medicine nor run a health insurance company, Democrats can still exploit a little publicized provision in Obamacrap to sweep them into office and create even more bureaucracy at the state level. Apparently no one told Dr. Abrams the states are broke. Although a federal 'public option' failed to make it into the law, states were granted the power to generate their own public option. There you have it. Public insurance run by the states. The same states that are complaining about the addition of millions of uninsured's to Medicaid and wondering how care for the masses will be funded without massive tax hikes. States, like the federal government, have almost unlimited authority to raise taxes at will. For some reason people seem to think if it comes from the government it must be free. Those are the same people who believe that corporations pay taxes and you can't get pregnant if you do "it" standing up. If I were running anywhere this year, for governor or state legislature, I would propose that my state enact a public option for itself. Its costs would be negligible, as the federal government provides the necessary subsidies to enable those who cannot afford it to buy it, whether it is from a private insurer or the state. Costs would be negligible. Gotta love it. Raise your hand if you believe in subsidies that will last forever, if they even materialize at all. If you raised your hand you probably live in one of the 57 states and voted for having your health insurance premiums lowered by $2,000 and still believe if you like the plan you have you can keep it. To paraphrase Mark Twain, according to HuffPo, "Reports of the public option being dead are greatly exaggerated". InsureBlog (IB): So, Rick, can you tell our readers a bit about yourself (including how long you've been in the insurance business)? Rick Bronstein (RB): I’ve lived in the Los Angeles area all my life, graduating from UCLA in 1978. I’ve been licensed since August 1977 when I began working in a small P& C agency part time. Ultimately I became the office manager and remained there for 9 years. Since then I’ve worked for a credit union as their insurance department manager, as an outside salesperson for Secure Horizons, and been on my own since 1996. I enjoy long walks on the beach golf, profitable trips to Las Vegas, and riding my motorcycle [ed: since this is a family-friendly site, no centerfold]. IB: How would you characterize the current state of CA insurance markets? I realize that this is a somewhat loaded question; maybe a little bit about the P&C side, and more on the life/health (especially health) side. RB: Like most states, mandates and regulations have created more problems than they have solved. Carriers are forced to provide benefits that may not be wanted, and every benefit has a cost. We have a state run workers compensation company that as part of its mandate is to be revenue neutral to taxpayers. A few months ago our insurance commission sent $5,000,000 to various district attorneys throughout the state to fight fraud. How is that revenue neutral? Insurance companies should fight their own fraud cases. The insurance commissioner has been holding Anthem Blue Cross “hostage” and has not approved their plans with effective dates after 9/22/10. How is that helping residents of California? We’ve gone from oversight to over-regulation. IB: Why run for insurance commissioner instead of, say, letters to the editor, that kind of thing? Letters to the editor are almost impossible to have published, and if so, are rarely more than one or two paragraphs. While I know it’s unlikely that I will receive more votes than the establishment candidates (Democrat and Republican), at least I can get out the message of allowing a free market to actually be free. 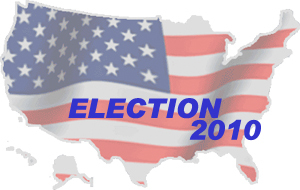 What are your Top 3 goals should you become elected? Or, if you prefer, the first 3 things you plan to address? The most pressing issue right now is the ObamaCrap that the brain surgeons in Washington passed. So the first 3 things I would do is to encourage the state to do everything possible to have this overturned. Among all the other unconstitutional provisions, the entire bill violates states’ rights. Since I do not believe the insurance commissioner’s job is to make it more difficult for insurance companies to do business in California, I would reduce the regulations that thwart competition and lead to higher prices. The third item is to once again allow for gender rating for Medicare Supplements. Several months ago the state required unisex rates which had the effect of raising prices for women on many plans by 20% or more. Once again, regulation where none was needed. IB: One last question: With all the news out of DC, what do you think about ObamaCare, and specifically as it might effect Californians? RB: This is a family site, right? Thanks, Rick, for your forthright answers, and your commitment to fight the good fight. Hopefully, at least some of your ideas will find their way to implementation. 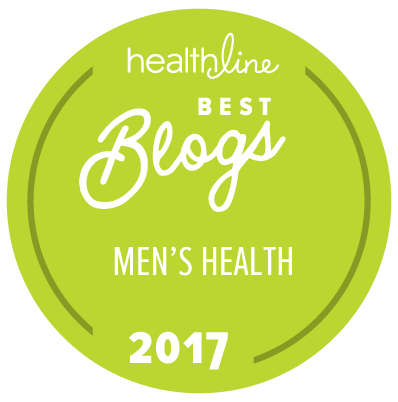 In the Wikio Health Blog rankings. The new numbers are out, and we've moved up quite a bit, all the way to the (lucky) 13 spot (pretty good for an insurance blog!). My better half has long cautioned me that "there are no coincidences," but what am I to make of this? First, my office email brings word from Golden Rule (Health) Insurance outlining "3 Reasons You Should Add International Health Insurance to Your Portfolio." Among these are the opportunity to provide "an additional service to your current clients, and attract new ones, when you offer international health insurance ... International health insurance is a growing market and ... you can add a quoting link to your website that practically does all the work for you!" But where would these droves of new (international) clients go for medical care? "The Tourism Authority of Thailand’s Medical Tourism Blog Contest kicks off with cash and prizes worth nearly US$20,000 up for grabs, including a seven-day all-inclusive medical tour of Thailand for 12 finalists." Yep, the Thai Tourism agency is sponsoring a blogging contest, with many valuable prizes. Me, I'd settle for a nice dish of pad thai , but I'm a simple guy. But say I was interested (or maybe Bob, Bill or Mike would like a round-trip to an exotic foreign land); what's the deal? "In order to win, finalists must write the best blog post and attract the highest number of unique visitors." Hmmm. Could you be more specific? "The competition is open to anyone who has experience writing blogs related to tourism or medical tourism in English language or containing English language." Ah hah! Thanks for clearing that up. "The Treasury Department says it expects the total cost of Troubled Asset Relief Program (TARP) aid to American International Group Inc. (AIG) and other federal aid to AIG to be about $30 billion." I know, how's that good news? "The Treasury Department invested about $40 billion in helping AIG ... and the Federal Reserve System invested about $182 billion"
So according to Washingtonian-style advanced financial calculations, there's a "savings" of $192 billion, which is a good thing. Of course, in the real world, we don't look at it as "saving" almost $200 billion, we look at it as wastefully spending $30 billion. As Bob says: Smaller cars, bigger debts, Papa Washington. Wenchy outdoes herself with this week's outstanding roundup of risky posts. Come for the Open Enrollment, stay for the RTFM (if you have to ask...). Still looking for a host for the November 17th edition - take a risk and sign up! Remember the health care "crisis" that necessitated that we had to quickly "pass the bill to learn what's in it." "A new report from the non-partisan Congressional Research Service ... finds astounding proof of the total administrative failure of the administration in implementing Obamacare. According to the report, HHS has missed one-third of the deadlines contained within the legislation for the first six months under Obama's new health care regime." Up to 11 (eleven!) key deadlines were missed, including a number of state ObamaPools© and Medicare/Medicaid provider screening guidelines. On the other hand, perhaps we should be grateful for their incompetence: anything that slows this train-wreck down has got to be a good thing. When Somali pirates [ed: did they actually swash their buckles?] forcibly captured Captain Richard Phillips and his crew last year, the primary concern was, of course, for their safety. But what of the ship's cargo? About a third of the 17 thousand metric tons was "relief supplies bound for Somalia, Uganda, and Kenya." The other two-thirds, one supposes, were commercial; one further supposes that most, if not all, of that cargo was insured. Regular readers may recall our story from three summers back, detailing how (since-disgraced) insurance carrier AIG put together a veritable A-Team to fight fires threatening their clients' high-end homes. Taking a page from AIG's fire-fightin' heroes, a "group of London-based insurance companies ... is planning to create a private navy to protect commercial shipping passing through the Red Sea and the north-western Indian Ocean." These are big-dollar (or pound sterling) losses, too: at an average of $4 million a pop, pretty soon you're talking about real booty. The insurers have been thus far underwhelmed by the prowess of their respective countries' official military forces, and have decided to go full Chuck Bronson. "Instead, this private navy would operate under the direct control of the international naval force that is already in the area, with "clear rules of engagement valid under international law." And it seemed so promising. RELATED: Speaking of fire fightin', what do you think of this? On the one hand, fair's fair: the Cranick's knew the potential consequences, and made their choice. On the other hand: how big a deal would it have been for the firefighters, already on the scene to protect the neighbor's property, to turn the hoses on the Cranick's house? On the gripping hand: it's a fire service; what's the incentive to prepay if you know that you'll be rescued anyway? "Should the fire department have tried to put out the house fire once they were on the scene?" As always, comments on this issue are welcome.